Don’t you also always have a hard time with these loose plastic-wrap or baking sheet rolls? I can’t stand it when I have to fight with these annoying unpractical rolls. 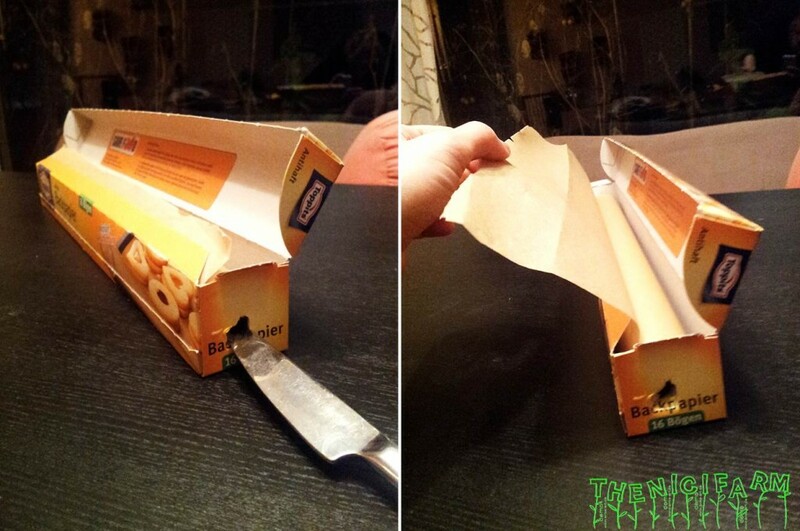 With a knife punch a hole into the middle of each side of the box and press it downward to form a little flap into the wrapping roll.